Princess Louise was born in 1848, the sixth child of Queen Victoria. The Princess had strong links to Canada. Her husband, John Campbell, Marquess of Lorne, was appointed Governor General in 1878. Lake Louise, Alberta, was named after her, as was Alberta itself —her middle name being Alberta. Louise also left a mark on Canadian arts, helping to found both the Royal Canadian Academy of Arts and the National Gallery of Canada. 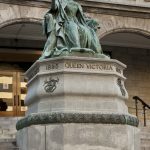 The bronze statue of Queen Victoria, located on the stairs leading to the Strathcona Music Building on Sherbrooke Street, is a cast of a white marble version that stands in front of Kensington Palace in the United Kingdom. The marble version in the UK was first conceived in 1887 and unveiled in 1893. McGill’s bronze cast was unveiled in 1900. 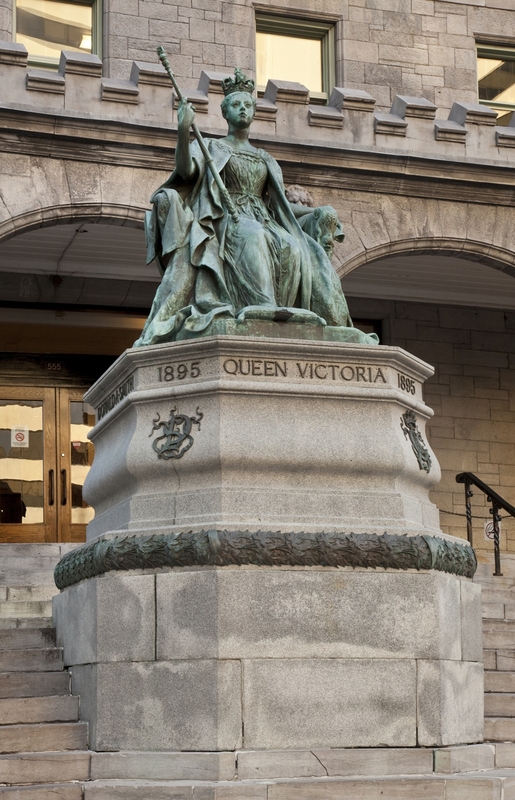 The statue was commissioned by Lord Strathcona, founder of Royal Victoria College. Strathcona was a friend of both Queen Victoria and her daughter, Princess Louise, the creator of the sculpture. When the sculpture was unveiled Lord Minto, the Governor General of Canada, and his wife Lady Minto were present at the ceremony, which was a large social and political occasion.